True Log Cabin located 2 minutes from downtown on paved roads. Step into the living area with real log walls and open cathedral tongue and groove ceiling. 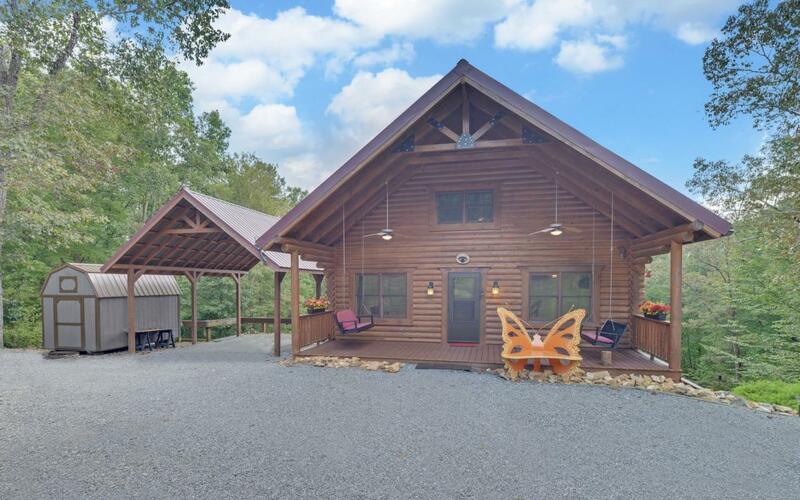 3-story cabin with 3 large bedrooms and 3 baths. Large kitchen with custom cabinetry and granite countertops that opens into the dining room for all your entertaining. Two large master bedrooms. Upper master has private deck overlooking your secluded back yard. Lower level has game / family room. 3 levels of oversized decks looking over landscaped yard. Convenience & location, this cabin has it all.